We initiate a dialog between two central areas in the field of psychology today: attachment theory/research and mindfulness studies. 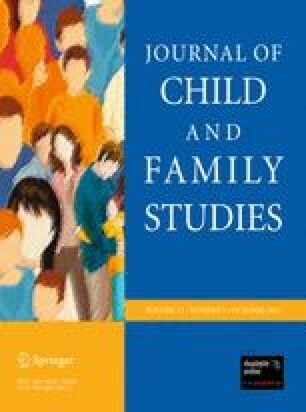 The impact of the early mother-infant relationship on child development has been well established in the literature, with attachment theorists having focused on the correlation between a mother’s capacity for self-regulation and connection (e.g., attunement) with children’s health and developmental outcomes. Because the transition to parenthood is often a stressful one, research has also focused on the importance of the mother’s external and internal support (e.g., self-awareness, recognition of needs) in promoting healthy mother-infant relationships. One promising field in relation to increased internal support is mindfulness, a practice shown to increase emotional regulation while decreasing stress and anxiety. Described as non-judgmental, present-moment awareness, mindfulness has received significant empirical attention over the past three decades and has recently been theorized as an important contributing factor in healthy mother–child relationships. Recognizing the potentially beneficial effects of mindfulness training on healthy attachment, this article reviews relevant literature in presenting a case for exploratory and empirical research into the dynamic relationship between mindfulness, attachment style, maternal health, and children’s development. Grounds for this convergence, as well as suggestions for future research, are presented. We would like to thank Andrew Harlem, Ph.D. for his help in conceptualizing this article. Hassan, G. (2008). Mindful beginnings: The benefits of mindfulness in early parenting. Birth Ways, January–June, 2–4. http://ppdtreatment.com/commentary/mindful-beginnings-the-benefits-of-mindfulness-in-early-parenting/.